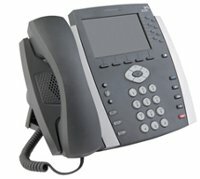 Building Block Computers supplies you with a choice of these HP series of IP Phones. Communications, interaction and engagement are the backbone of your organization's day-to-day activities. With unified communications and collaboration (UC&C) organizations can accomplish more with fewer people and tighter budgets, support flexible work styles and lower cost from streamlined communications.